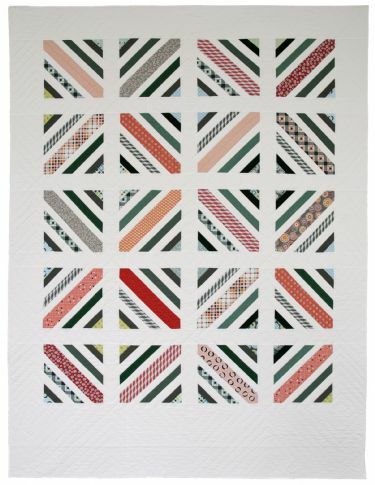 Denyse Schmidt quilt for my daughter and husband. This one is called Between the Lines. Denyse has a lot of great modern patterns, check them out when you have a chance. 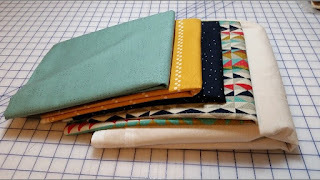 I am using the fabrics below, some great Cotton and Steel designs that my daughter picked out. My version will be a bit more controlled with each fabric as one of the strips. Once all the cutting is done, it should go together fast. Nice top and beautiful fabrics. I am anxious to see your blocks for this quilt. I like Between the Lines, looks like a lot of matching to do, I don't do that well. I know yours will be perfect. I also like you colors you chose for your second quilt.